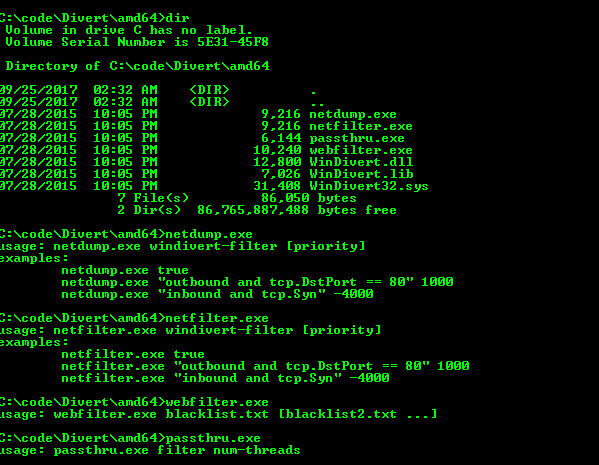 Browse: Home / WinDivert – Windows Packet Divert. WinDivert – Windows Packet Divert. 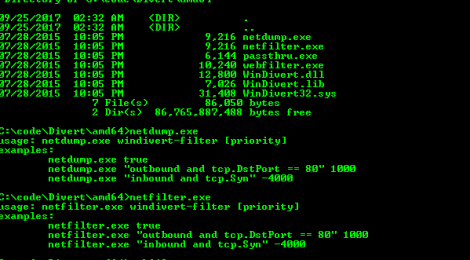 Windows Packet Divert (WinDivert) is a user-mode packet capture-and-divert package for Windows Vista, Windows 2008, Windows 7, Windows 8 and Windows 10. – Fix BSOD that sometimes occurs after abnormal user application exit. – Fix BSOD that sometimes occurs when WinDivert is combined with other callout drivers. 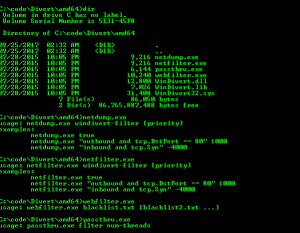 – WinDivertSend() has been optimized. However, it may not detect as many packet injection errors as it could before. ← redsails – a post exploitation for bypassing host based security monitoring and logging.